I am appalled by the amount of misinformation out there – on the economy, on crime, on investing, on baseball stats, on just about everything. It doesn’t matter what the facts are, I don’t feel as safe as I used to. I don’t care what the government says, the economy is worse than it was eight years ago. I don’t care what sabermetrics say, lineup protection is really important. 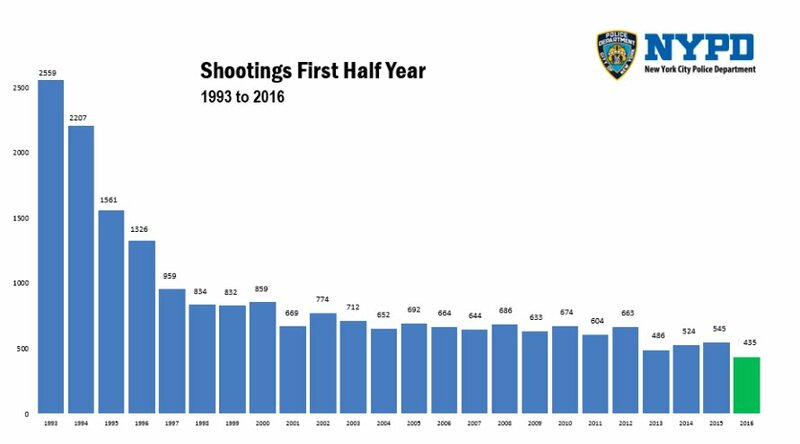 Never mind that violent crime is on a decades-long trend downward. Or that unemployment has halved, the deficit has plunged, and the stock market has tripled. Or that I literally wrote a thesis on the myth of lineup protection. There are a myriad number of reasons why our feelings are different than reality. A lot of it has to do with the 24 hour news cycle. A lot of it has to do with how every bad thing is now broadcasted live, on people’s cell phones, for all the world to see, and it spreads like wildfire on social media. A lot of it has to do with political theater and fear-mongering. A lot of it has to do with the fact that everyone has a voice now. I mean, you’re reading this, aren’t you? We are exposed to much more than we used to be. We used to live in these nice bubbles where our only source of news was the paper and the evening nightly news. Now we don’t. I don’t doubt that people don’t feel as safe as they used to. But I was taught to question everything, to look at the data, to keep an open mind, to act pragmatically, and to call out BS when I see it. That’s what informs my feelings. I don’t care about thundering rhetoric or fear tactics or ridiculous online memes. I care about the facts. I hope you do too. I realize not everyone is a robot like me, but I expect facts to have some bearing on how you view the world. Donald Trump is not a candidate the American people would turn to in normal times. He’s too inexperienced, too eccentric, too volatile, too risky. Voting Trump is burning down the house to collect the insurance money — you don’t do it unless things are really, really bad. Here is Trump’s problem: Things are not really, really bad. But people are angry nonetheless. Really angry. It’s unsettling to see this much anger when things have improved. What if things really were bad? It can be difficult to have disagreements in real life without devolving into an angry demon monster. We don’t always have the facts at our disposal, we don’t always express our views eloquently, and if you’re in a large group it can be difficult to get a word in edgewise. At a family gathering, Aunt Judy has a few too many glasses of wine and blurts out: THIS COUNTRY IS VERY UNSAFE, CRIME IS TERRIBLE, I REMEMBER WHEN I COULD LEAVE MY DOORS UNLOCKED, GIVE ME MORE WINE. Now let’s follow the five steps. Listen. Hear what she has to say, even it disagrees with your own opinion. Especially if it disagrees with your own opinion. Question everything. Is this backed up by facts? Is crime actually going up? Look at the data. There are literally an endless amount of sources that show that crime has decreased over the last several decades. It will take you five minutes to Google this. Keep an open mind. Maybe crime is going up in certain parts of the country! Maybe gun crime is a real problem! Maybe this is a nuanced issue with many things to consider! Be kind. Don’t yell at Aunt Judy. There is no need to get angry. Give her another glass of wine. Aunt Judy may not change her mind, but maybe she’ll start to question her own beliefs. Maybe she’ll start to look at the facts. Maybe she’ll reconsider that third glass of wine. All of these things are small steps on the way to a more informed, a more civil, and a more intelligent society.